Welcome to a special edition of Lauren’s Top Tips! 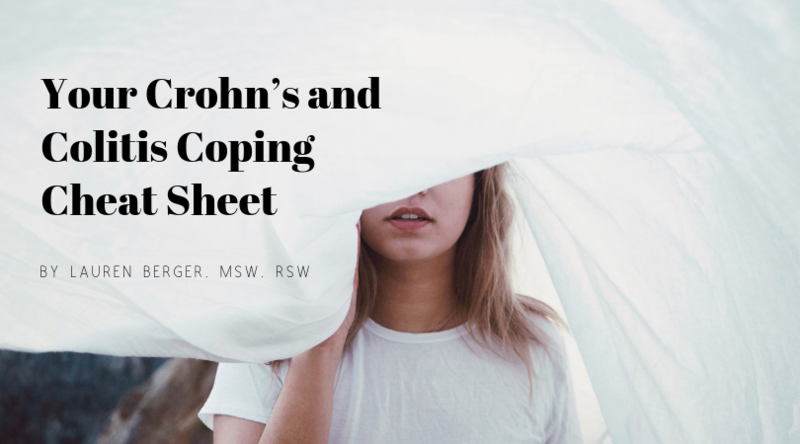 November is Crohn’s and Colitis Month and, as someone who was diagnosed with Crohn’s Disease at 10 years old, I’ve learned a thing or two about how to cope when the going gets rough. The best part about these tips is that they are absolutely not specific to Crohn’s and Colitis; they apply to anyone who needs to find ways to help manage the stress in their lives. (And really, who doesn’t need a little less stress?) Let’s get to it! The almost immediate sensation of relaxation when you slow your breath is nothing short of magical. Even when I demonstrate breathing exercises for clients, I notice a calm wash over me. The best part of a simple breathing exercise is that it can be done anywhere, anytime, and no one knows what you’re up to. For Crohn’s and Colitis patients (or any chronic illness sufferer) breathing for relaxation can be essential for slowing down the stressors in the body that may contribute to inflammation. A simple how-to? Breathe slowly in through the nose for a count of five, slowly out through the mouth for a count of five, focusing on letting your lungs expand like a balloon with the fresh air. Do ten of these. Notice how you feel all over. When you have a chronic illness, sometimes you feel the need to vent to someone who gets it. While you may have family and friends who are super supportive, it can be helpful to also have a pal who can understand first-hand how you feel about your steroid-induced roid rage, your anxiety for unpleasant medical tests, or the embarrassment that goes hand in hand with a bathroom-related illness. Vent to each other. Support each other. Celebrate each other’s medical victories. Haven’t found your medical soulmate yet? Try reaching out through support groups, whether in person or online, and see who you may connect with. Make sure you address any pain with your medical professionals. With their go-ahead, seek out new ways to manage pain symptoms that don’t seem to be helped by your medications. I am a huge champion of Clinical Hypnosis. I have been using it for pain relief (and much more) since my diagnosis, and continue to use it today. I’ve been successfully using hypnosis with clients for almost a decade. Tapping into the power of your mind and seeing for yourself how you do have control over your symptoms can be life-changing. For myself and my clients, I’ve used hypnosis to minimize pain, gas, and urgency, as well as depression and anxiety surrounding their diagnosis. Bonus? I teach my clients’ self-hypnosis to use at home whenever they need or want to. 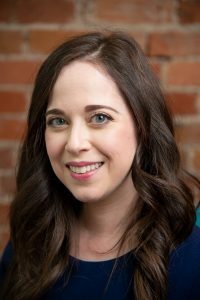 Seek out a specialist like myself who has extensive knowledge and expertise in hypnosis use with chronic illness to explore this option. Chronic illnesses like Crohn’s Disease and Colitis can be a major bummer, but you’re not alone. I’m right there with you. There are always more ways to make the journey a little less bumpy. Wishing you bowel bliss!